My collection is pretty straightforward. 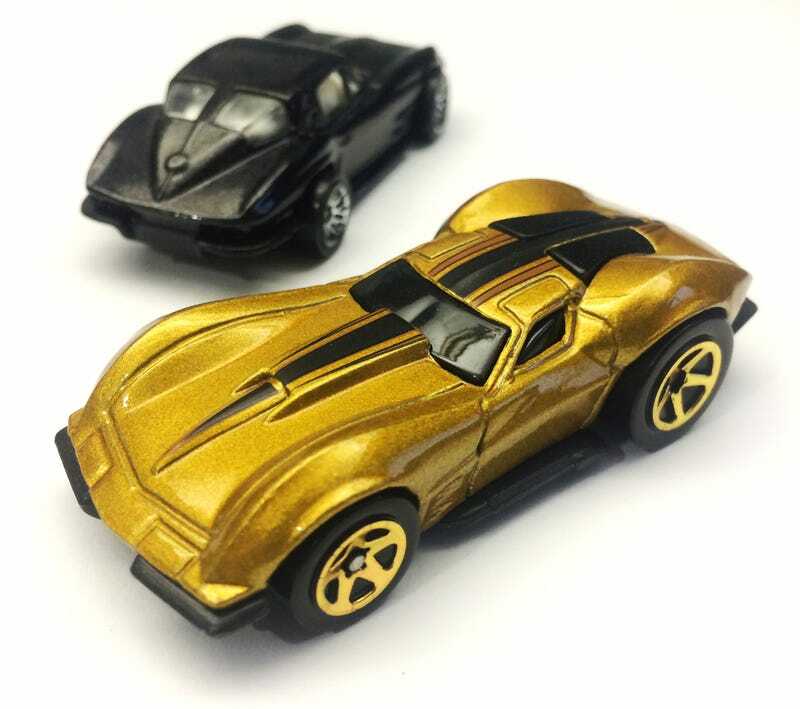 I generally don’t buy fantasy casts and have very few cars that aren’t Corvettes. Yet, for some reason, I really wanted this Tooned ‘63 split-window. In my mind, it’s almost what a period-correct prototype racer would look like with contemporary Corvette styling cues. Exagerated curves, a low nose, a low roofline, a high rear end — it’s almost Ferrari P4-like. I never had any luck finding it in a mystery bag locally. I got this one in an HWEP with a fellow LALD member. It was actually my first HWEP and it holds a little personal significance because of that. The funny thing about the cast is it’s based on the 1963 split-window coupe, but the stinger hood scoop is straight off a 67-68 427. That being said, the extreme hood fits with the rest of this car’s extreme styling. There’s really only one thing I’d change about it. I like the stinger stripe tampo, but stretching it all the way to the back practically hides the actual split window. The blacked-out windows blend with the black stripe. This is probably the wackiest thing I have short of the Boba Fett rat-rod or my Cars 2 Jeff Gorvette. Maybe I should have bought that Greenlight Vacation Wagon Queen Family Truckster when I had the chance.